Adding a carport to your home is a great way to avoid leaving your car exposed for long periods of time. The harsh Australian weather conditions can damage the appearance and functioning of your vehicle. Conventional Carports has been installing carports on the Mornington Peninsula and across Melbourne’s eastern and south eastern suburbs for 20 years, and has been operating as our own business for more than 12 of those years. During this time, we have noticed an increase in the number of people who wish to shelter their cars! The reason so many of these people call us for professional carport installation in Eastern Melbourne and other parts of the Mornington Peninsula, is because they can count on our team to provide efficient, cost-effective and friendly assistance every single time. 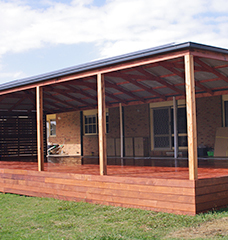 If you would like to save money on your carport purchase, we also have a wide range of high-quality DIY timber carport kits for Melbourne customers who want to build their own structure at home. And because our team of carport experts know these kits inside out, they can help with any queries you have about their installation and assembly. 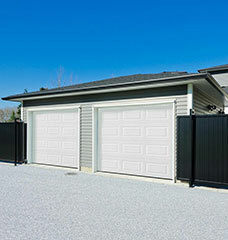 In addition to servicing the Peninsula, we also install carports in Pakenham, Ferntree Gully, Knoxfield, Glen Waverly, Moorabbin, Highett, Mentone, Braeside and other south-east suburbs. In fact, we are more than happy to travel in order to provide you with a first rate service. You will find that adding a car shelter to your home not only gives you a place to keep your vehicle out of the weather, it means that you can exit your car comfortably, even in the pouring rain. There will be no more juggling keys and bags in order to get inside quickly during rough weather, as you will be completed protected! Our professional installation services will give you the space you need to keep your cars looking great all year round. If you take a look at our online gallery, you will find that we can cater to a wide range of needs. We understand that when we carry out carport installations, you want it to fit in with any pre-existing structures, such as your house. For this reason we offer a range of styles to suit varying requirements, whether you want something quite modern, or a more classically styled traditional carport. Give us a call today with any questions you might have! While we offer a wide range of custom carports and professional carport installation, we are also happy to help those who have purchased with DIY carport kits. 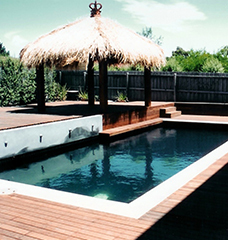 We have wide selection of timber carport kits in Melbourne for those looking to save money. Our team of experts knows timber carport kits inside and out. We can have your timber carport kit delivered ready for you to enjoy alfresco outdoor living in no time and all of our kits are guaranteed. Outdoor living has always been a major part of life in Australia, and now Conventional Carports has made it easier than ever to enjoy alfresco or outdoor living in the Mornington Peninsula area. 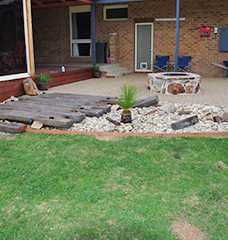 A carport not only gives you a place to park out of the elements, but it can also provide a handy and attractive outdoor entertainment area, and an increasing number of people are asking us to put our skills to work creating beautiful alfresco living areas. Our team of professional and highly-skilled craftsmen are waiting to help turn your carport into a space where you can relax and entertain friends outdoors – without being exposed to the sun, wind or rain. So whether you’re looking for a high-quality but affordable custom carport installation, or a deluxe space for enhanced outdoor living, contact us for a solution that’s professionally tailored to your needs today!